"Drivin' On 9" by The Breeders. "Just Another Diamond Day" by Vashti Bunyan. "For You" by Sharon Van Etten. Sharon just reissued her 2009 debut album, "because i was in love," with a two new tracks (this is an old one) entitled "(it was) because i was in love." The second song released from her tenth album, "Utopia." "Much like “Headphones” (released twenty-one years earlier), the track is a subdued electronic ballad about 'two music nerds' falling in love via swapping music." I can't concentrate on any books lately. Is my mind too full or are they just not the best books for me? I started "Telegraph Avenue" by Michael Chabon, though, and I like thinking about all the East Bay scenery and characters. "A big-hearted and exhilarating novel that explores the profoundly intertwined lives of two Oakland, California families, one black and one white. 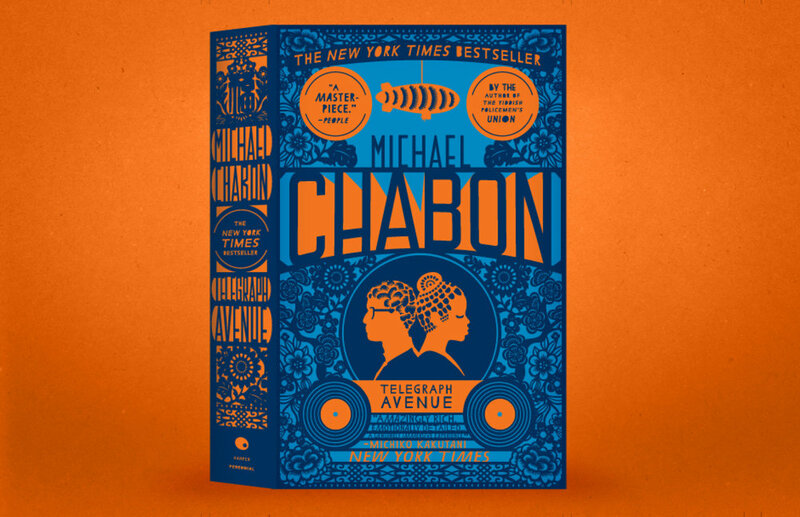 In "Telegraph Avenue," Chabon lovingly creates a world grounded in pop culture—Kung Fu, ’70s Blaxploitation films, vinyl LPs, jazz and soul music—and delivers a bravura epic of friendship, race, and secret histories." I continued my leisurely, lifelong adventure of trying all the Ethiopian platters/combinations that I can. This week took me to a random strip mall in Ellicott City, Maryland. There were minimal tables, one family eating, and seemingly one employee—also a local realtor. The smell was divine. My younger brother and I shared two combinations—kindly put together as one giant plate. For the first time in all my dining experiences, we were offered hot sauce. It was red, the thickness and color of Sriracha, the slightest bit tangy, and really good. The chicken was a bit tough, but everything else made up for it. Also consistently eating: dark chocolate, almonds, cashews, dried sour cherries, extra toasty toast, and spinach. I had an epiphany last week: "I need to be embraced in the hug of my It's It sweatshirt!" When it's cold outside and you feel a little under the weather and a little sad, encase yourself in the image of a fabulous ice cream sandwich. Luckily I knew where to find it in the storage unit of all my belongings. We are reunited and it is so cozy. I watched almost the entirety of "Easy" season two in one sitting. From awkward to hilarious to mind-boggling to heartbreaking, the characters, stories, and music are wonderful. For those who appreciate The Great British Baking Show/Bakeoff," Netflix has another sweet and mouthwatering option, "The Big Family Cooking Showdown." I've heard nothing but praises and heartache around "Call Me By Your Name." This romantic drama is more fully and convincingly realized than most cinematic love stories in recent memory. On the other hand, "The Disaster Artist" looks entertaining and goofy. Because I know Kelly Oxford is involved, I am extra thrilled. Emotions. Sometimes you have those periods of time where you cry a lot. I try to embrace those times and let it all wash over me—pour out of me. Sometimes you have to cry on the sidewalk and at a restaurant and in a car and on the couch—wherever it strikes. I think 2017 needs to squeeze a little more out of us. It is going to no matter what.